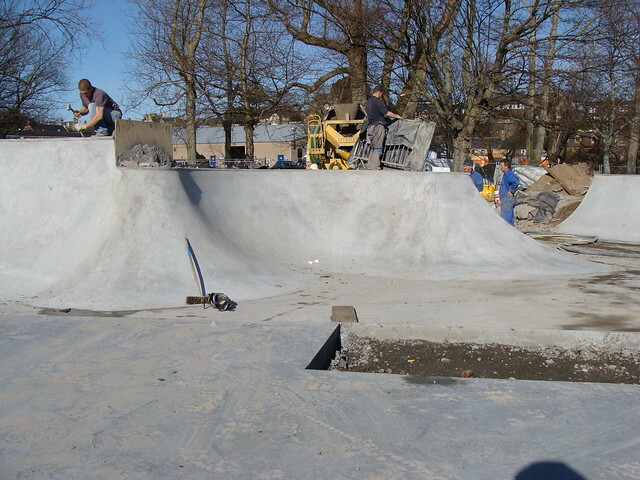 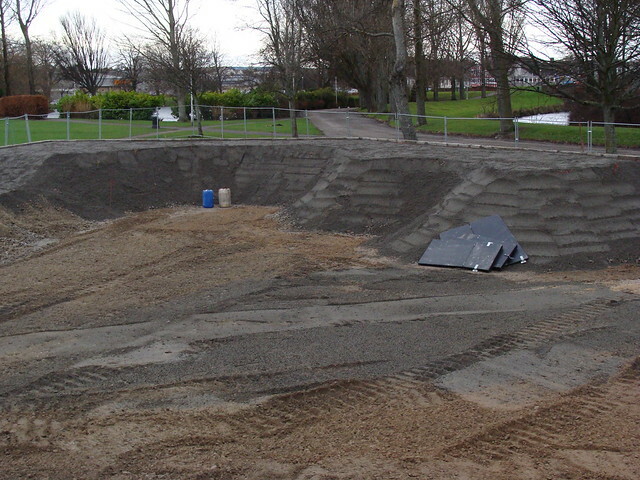 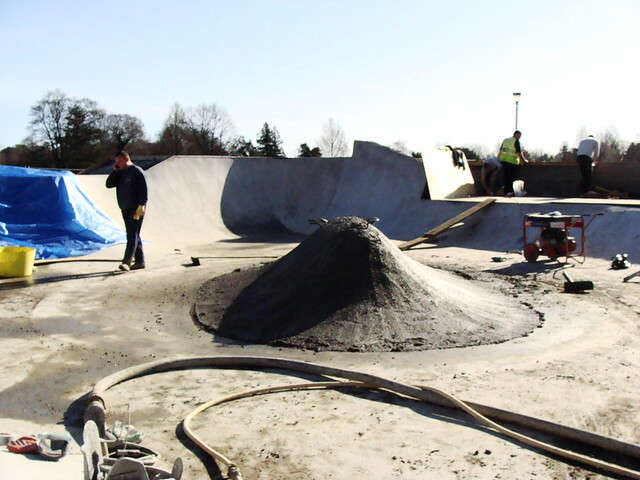 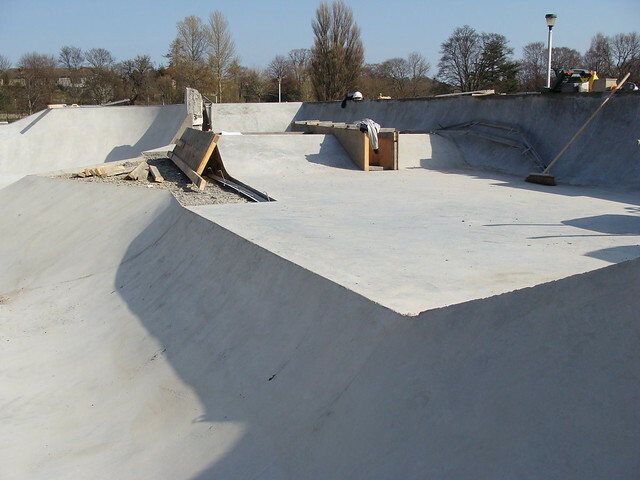 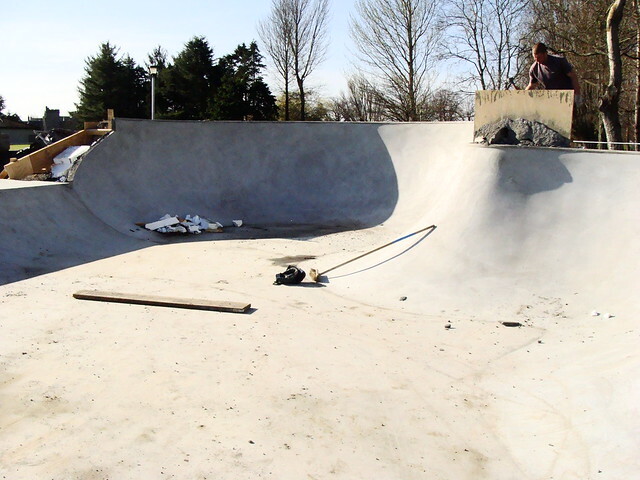 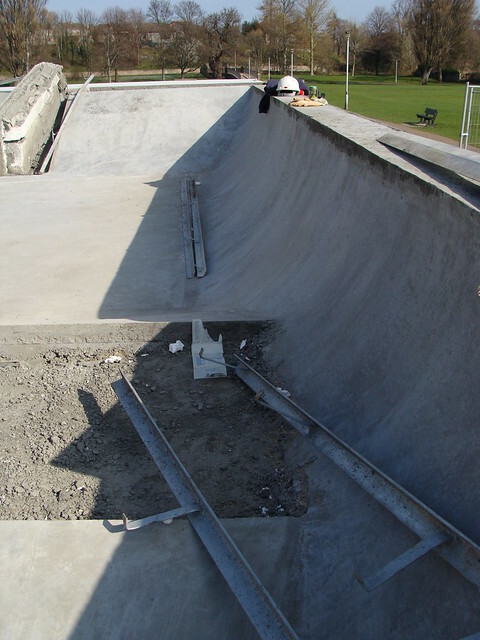 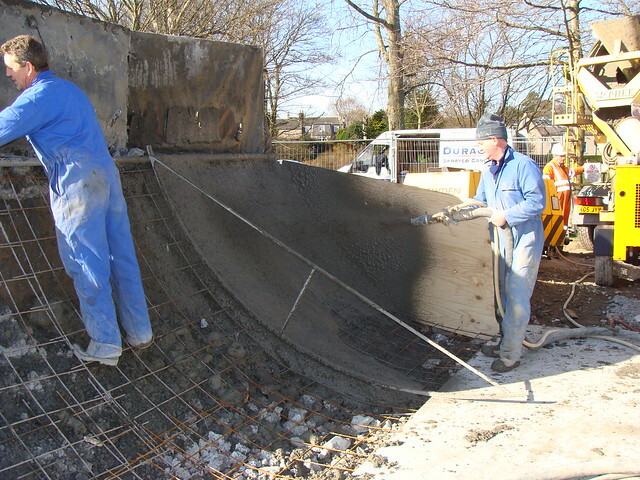 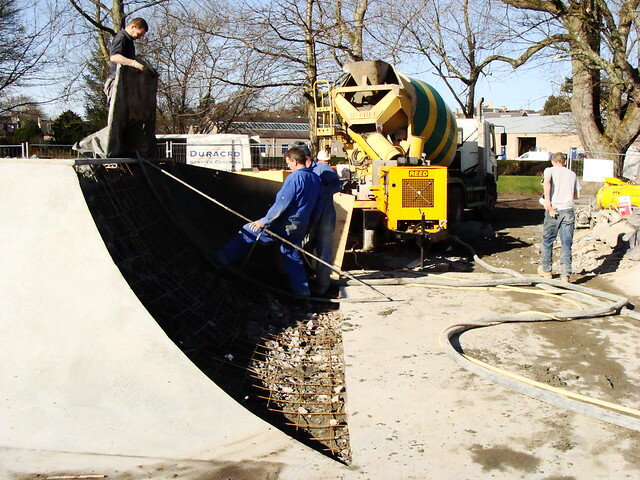 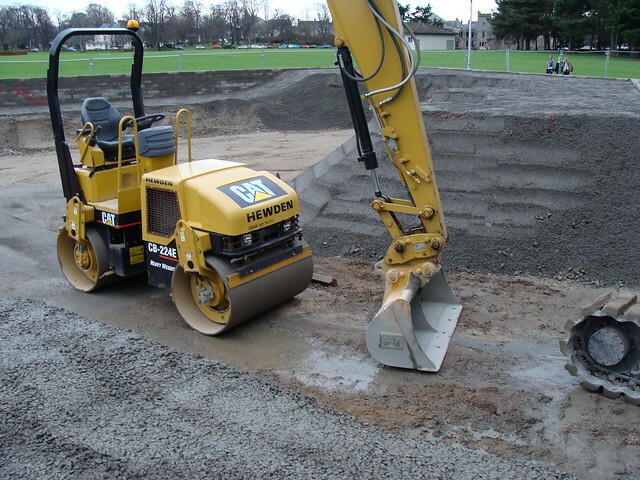 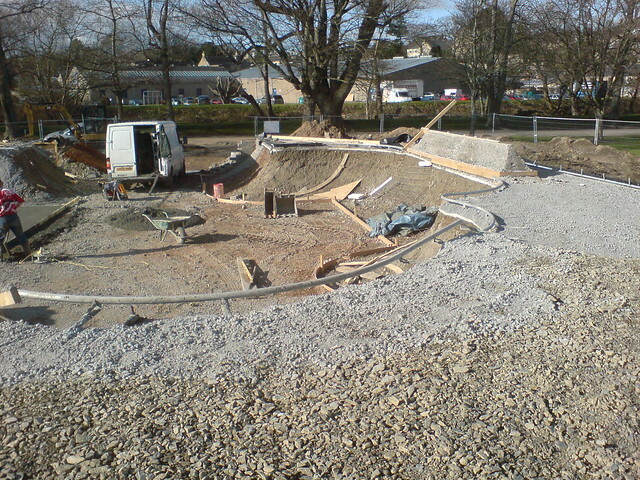 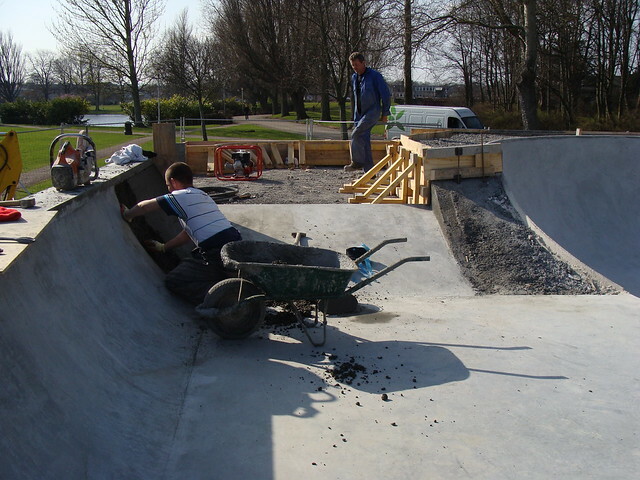 This weekend sees the official opening of Elgin’s new concrete skatepark, one of Skateboard Scotland’s board members Ian Young has been keeping a little construction diary along with taking photos from the build process which we’ve included here. 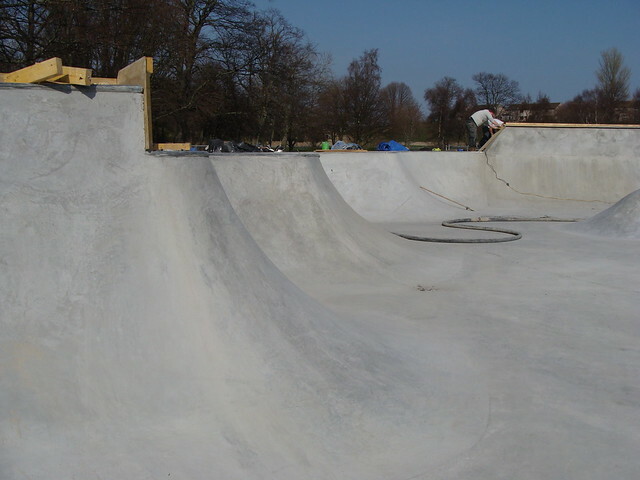 The park itself is an awesome park to skate, tons of lines, great for carving about and having fun with a few ledges around about as well. 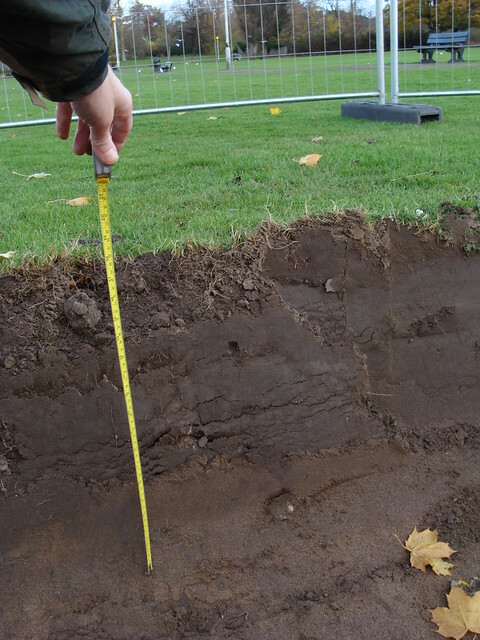 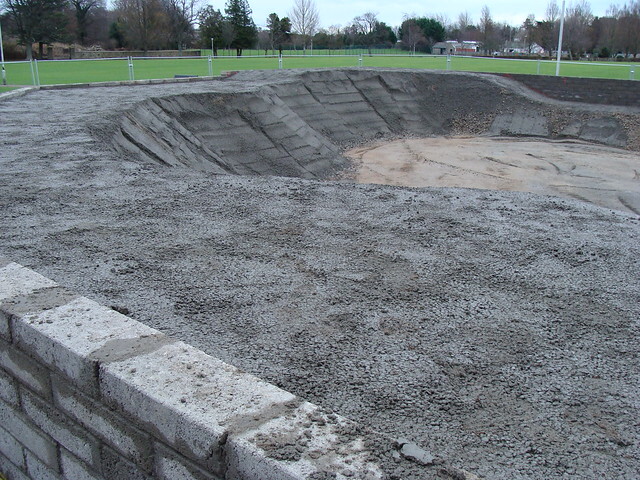 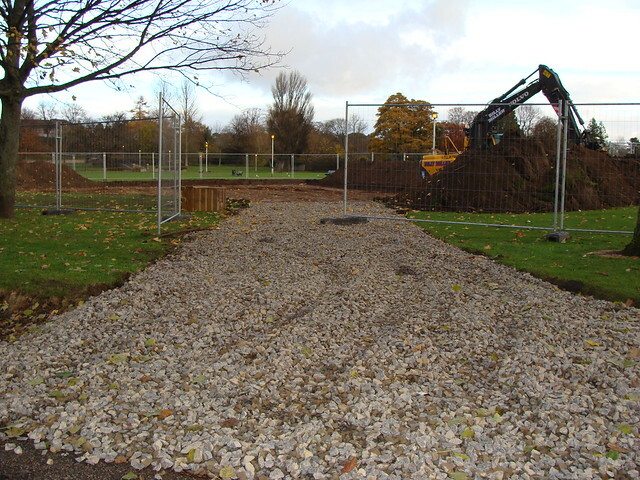 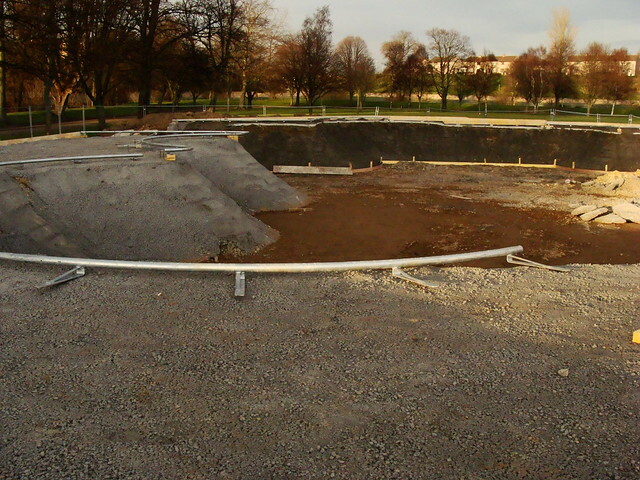 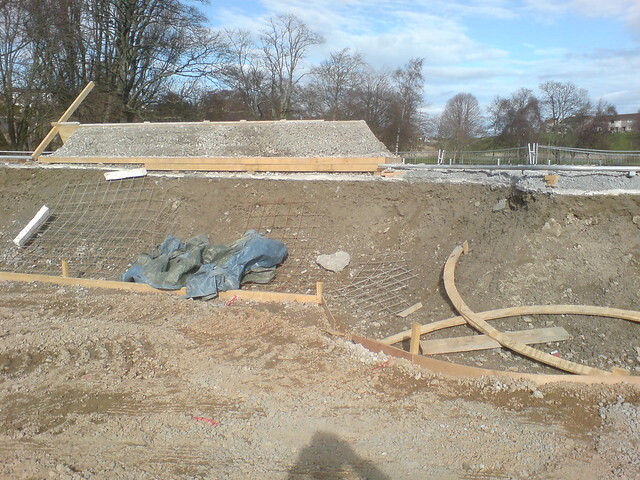 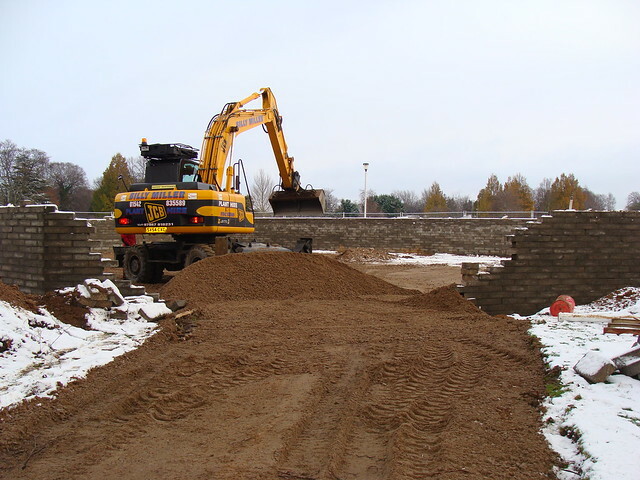 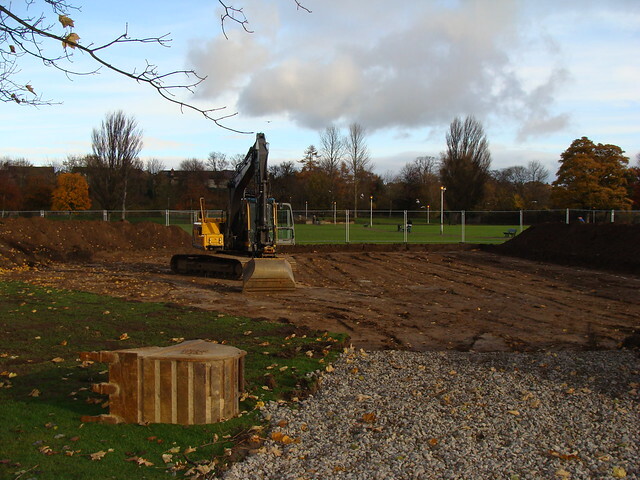 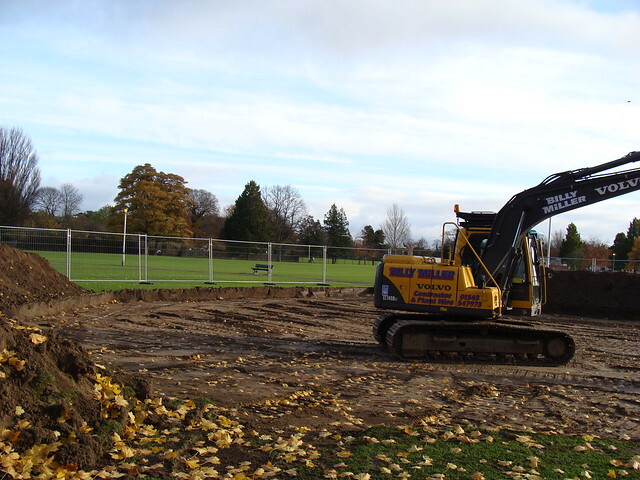 November: Broke ground around the middle of Nov, groundsworking firm excavated site, built sub base & perimeter wall. 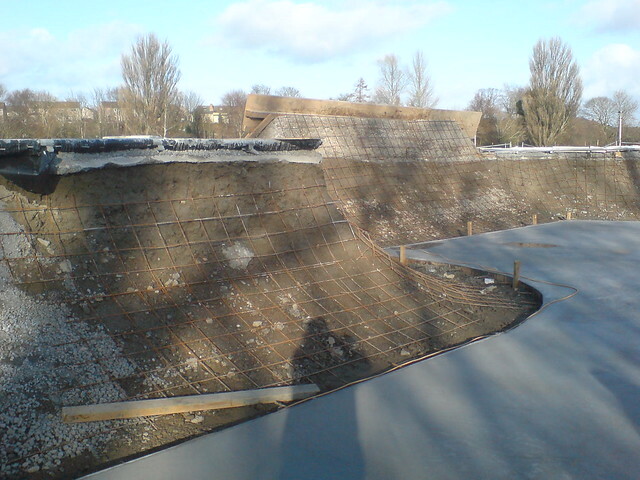 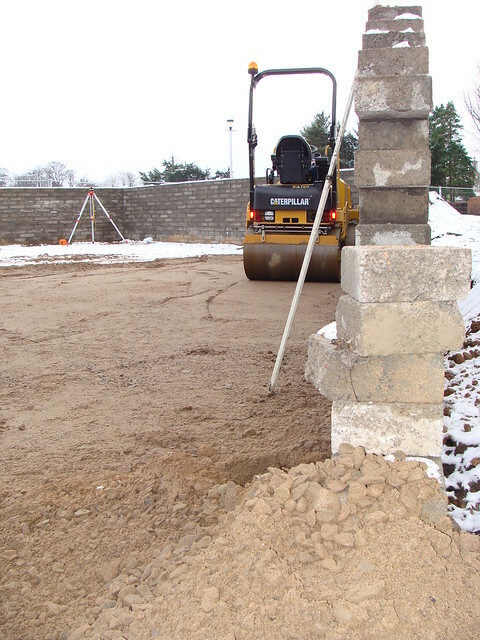 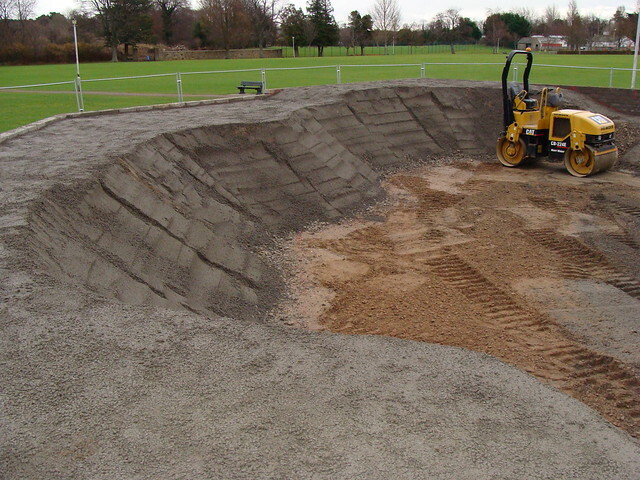 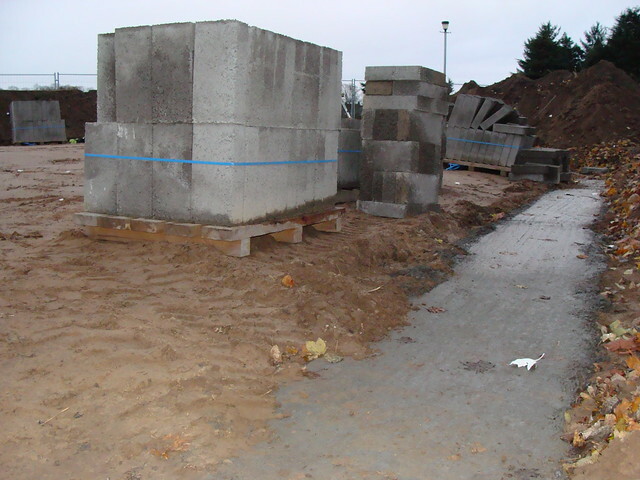 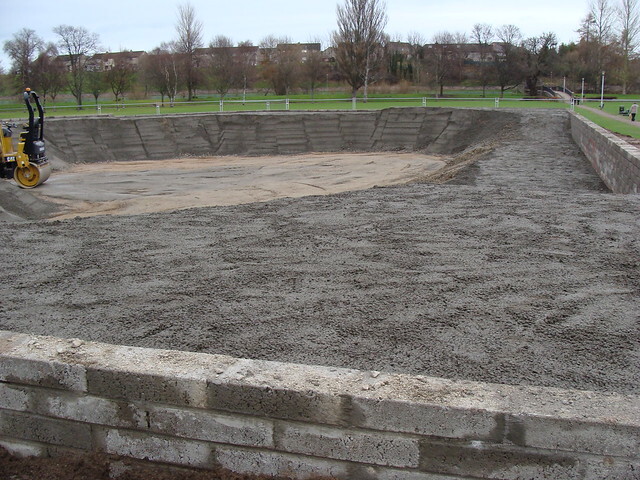 December: Bendcrete on site to start forming up the infill material & impacting it. 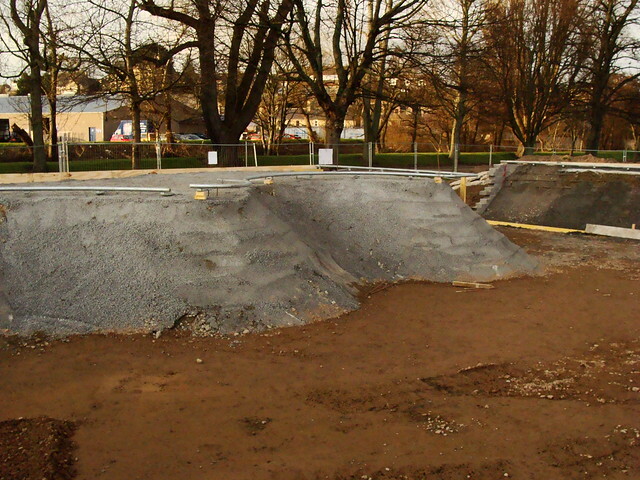 Building platform bases. 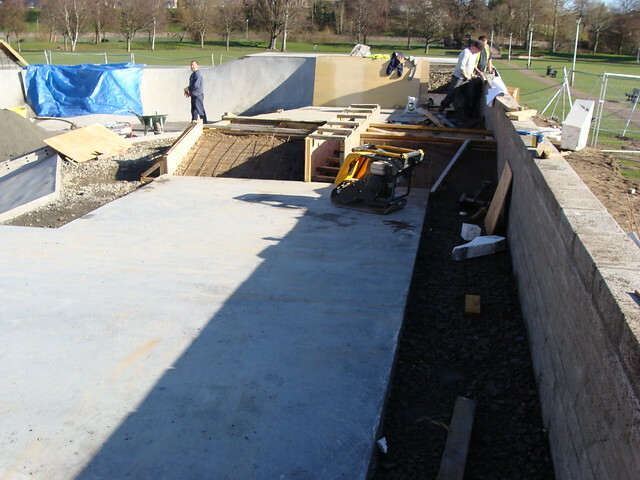 February: Bendcrete back on site to set coping, build up blinding concrete, form slabs, platforms & mesh the blinding/infill in preparation for Duracrete arriving to spray the concrete. 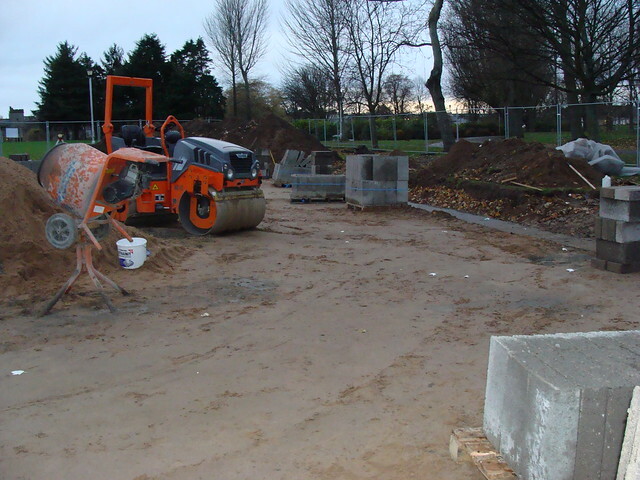 March 01: Ground slabs laid, Duracrete arrive to spray the transition areas, Bendcrete to pour the platform slabs & ledges located around the perimeter of the park. 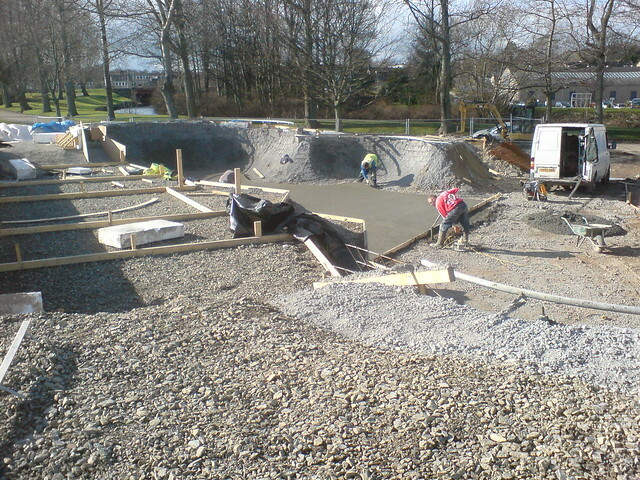 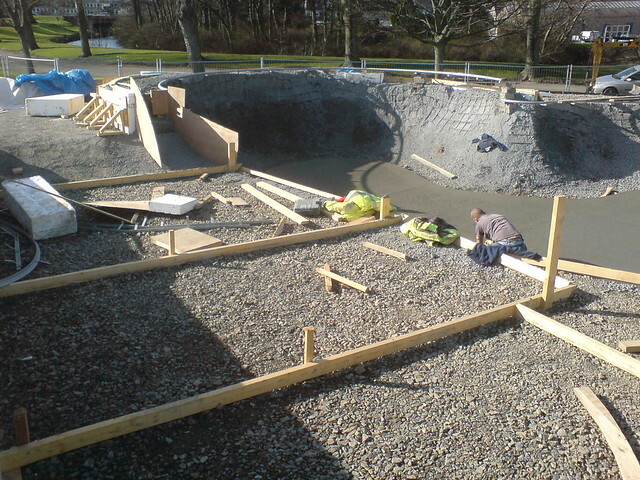 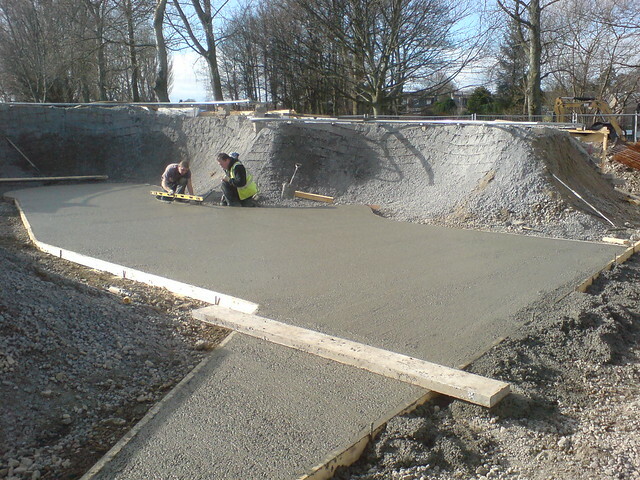 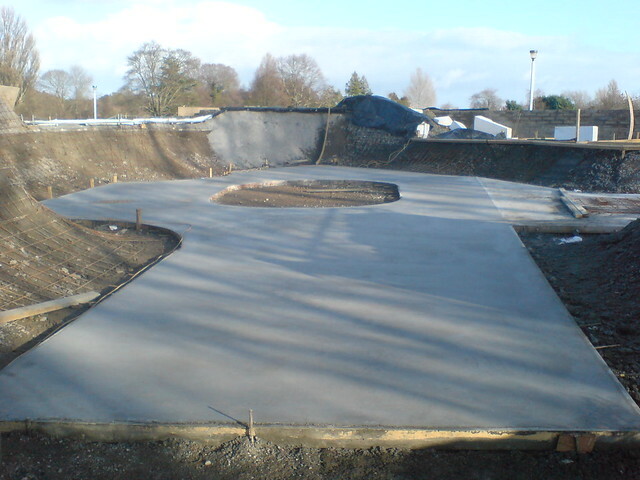 March 25: All platform areas poured, all transition areas sprayed, 3 ledges & 2 flat banks to be poured this saturday (hold ups getting concrete pump). 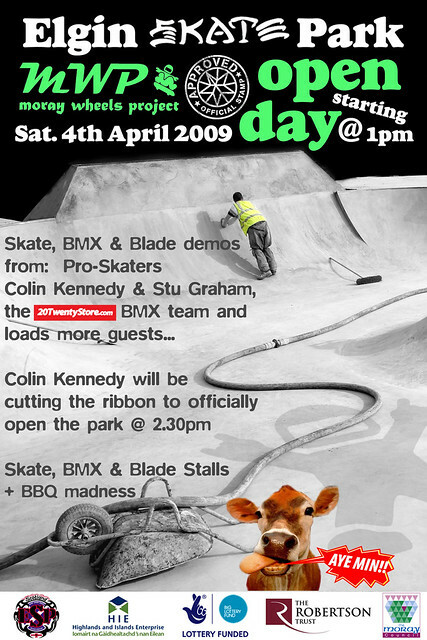 April 4th: Official opening of the park, although should be skateable for Monday / Tuesday.